Duncan Estate Auction — Harritt Group, Inc. Selling live on site the following personal property for the Edna and Jimmy Duncan Estate. 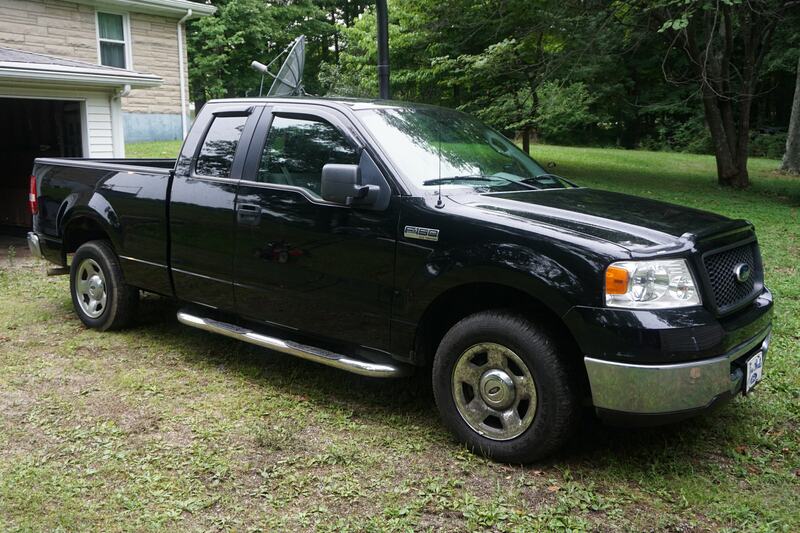 Highlights include 2006 Ford F-150 pickup, 1995 Ford Thunderbird, 1978 Ford LTD, Ford 1710 tractor, Cub Cadet lawn mowers, equipment, tools, furniture, antiques, collectibles and more. 2006 Ford F-150 Supercab four-door pickup truck with 53,886 miles, 4.6L V8 EFI engine, cloth interior, VIN # 1FTRX12W36KB12895, 1995 Ford Thunderbird LX with 79,918 miles, 4.6L V8 EFI engine, VIN # 1FALP62W6SH134020 and a 1978 Ford LTD 2 door sedan in non-running condition, VIN # 8U64H186137. Ford 1710 model AL313A tractor with Woods F35 belly mower, turf tires and 330 hours, Cub Cadet 1641 riding lawn mower with 46” deck and Cub Cadet 102 riding lawn mower. Snapper 7HP push mower, (2) retro Snapper push mowers, Yard Machines push lawn mower, Homelite curved shaft weed eater, lawn vacuum, rototiller, rolling air compressor, floor jack, Poulan Wild 40cc chainsaw, seeder, Lincoln 225 amp arc welder Craftsman table saw, Craftsman tool chest, Craftsman circular saw, drill press, HD electric extension cords, large selection of hardware, hand, yard and power tools plus more from the entire contents of garage and basement workshop. Jazzy Elite ES electric scooter. Keller hutch, dining table with leaves and (6) chairs, small antique oak roll top desk, retro Cosco-style step stool, corner cabinet, bookshelf, retro full size 3-piece bedroom suite includes bed, dresser with mirror and nightstand, 3-piece pine bedroom suite includes bed, chest of drawers and dresser with mirror, safe, upholstered sofas and recliners. Retro mens Huffy bicycle, Zimmerman blown glass inkwell and basket, Model No. 11 Aladdin oil lamp, retro pole lamps, art deco floor and table lamp, multiple pieces of stoneware, oil lamps, GE electric wall clock, Griswold cast iron dutch oven, milk cans, galvanized wash tubs and buckets, retro springer lawn chair, Remington typewriter, ice cream maker, National pressure washer, (4) cast iron skillets, several retro oil cans, vintage fruit cans, Planters Mixed Nuts tin can, retro Santa Claus figurine, Noritake Crestmont china set, retro globe wastebasket, large selection of collectible glassware, (3) jewelry boxes, vintage kitchenware, several Corningware dishes, Elgin pocket watch, Gruen autowind 25 jewels wrist watch head, selection of costume jewelry, Dietz Haagen collapsible sports glasses, vintage Elizabeth high school varsity letters, retro safety razors, GE stainless steel toaster, large selection of silver plate, frosted tumbler set, figurines, Club Ware pots and pans, wall clocks, Edenpure portable electric heater, matchbox, retro gas range furnace and much more. I-64 to Georgetown Exit 118. West on IN-62 for 2.2 miles, veer left onto IN-11 for 8.3 miles to auction on left. Or from IN-211 turn right on IN-11 for 1.2 miles to auction on right.